Kia Motors has not only become a popular choice for car buyers in Woodstock and around the nation because of price, but also because of dependability. There are very few cars made by automakers that offer as much as a Kia Motor vehicle does! It is why the company has sold an astounding 7 million vehicles globally last year, including all sales by its parent company – Hyundai. But that’s just the beginning of the impressive facts about Kia Motors. Be prepared to learn five things you didn’t know about Kia Motors. 1. As we already mentioned the sales for Kia Motors set a high precedent for other automakers to follow; however, those sales also aligned with the auto industry’s continued efforts to stabilize the global economy and job growth. In 2018, Kia Motors is already showing impressive numbers in the first fiscal quarter with over 195,000 vehicles sold. The sales represent the practicality that Kia Motors brings to the auto industry for buyers who want a dependable and reliable vehicle with just the right amount of style and luxury. The name Kia actually means “to come out.” Although we’re sure that doesn’t mean “to come out and buy,” but that seems to be exactly what consumers are doing! 2. Kia Motors is a world-class engineered automaker. That is Kia Motors’ mission and it seems to be working very well for the Seoul-headquartered company. In 2017, Kia Motors was ranked as the highest selling brand by J.D. Power and Associates, making it the second consecutive year for the company. The top-ranked vehicles included the Cadenza, Forte, Niro, Sorento, and Soul. The analysis by J.D. Power and Associates included a nationwide quality study of all Kia owners within 90 days of purchase. 3. Speaking of studies, are you aware that the Niro was rated as one of Consumer Report’s top 10 “most reliable cars” in 2017? Kia Motor’s five-passenger vehicle had to meet a high standard among car buyers to be included in the worldwide annual survey results from Consumer Reports. The nonprofit organization has been dedicated to informing consumers in order to make car buying choices that are safe and reliable, for eight decades. 4. In 2014, Kia Motors was privileged to present the Kia Soul to Pope Francis of the Catholic Church to use during his visit to South Korea. The choice made international headlines and the Soul was praised for its reliability. In 2016, the Soul was again chosen by J.D. Powers and Associates and ranked as number one for reliability, making it the first time in almost 30 years a non-luxury vehicle made the top rank. 5. In February 2018, the best-selling vehicle for Kia Motors was the Sportage, with 32,845 vehicles sold. The Rio came in second with 30,183. The Sportage also won the Red Dot Award for Product Design in 2017. Kia Motors has made auto industry news with having its first rear-wheel drive full-size luxury sedan; the K900. Another first for Kia Motors includes the Soul EV, the first all-electric and zero-emissions vehicle for the company. There are so many more exciting facts about Kia Motors. 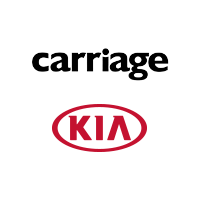 Stop by Carriage Kia of Woodstock to learn more and enjoy our newly designed state-of-the-art showroom. We’re sure that we can make you feel at home while you’re making a decision about your next Kia!